Number 10 is often reserved for the star attacking player of the team. Well Round 10 was a starstrucked weekend of soccer in the CSL's top flight. 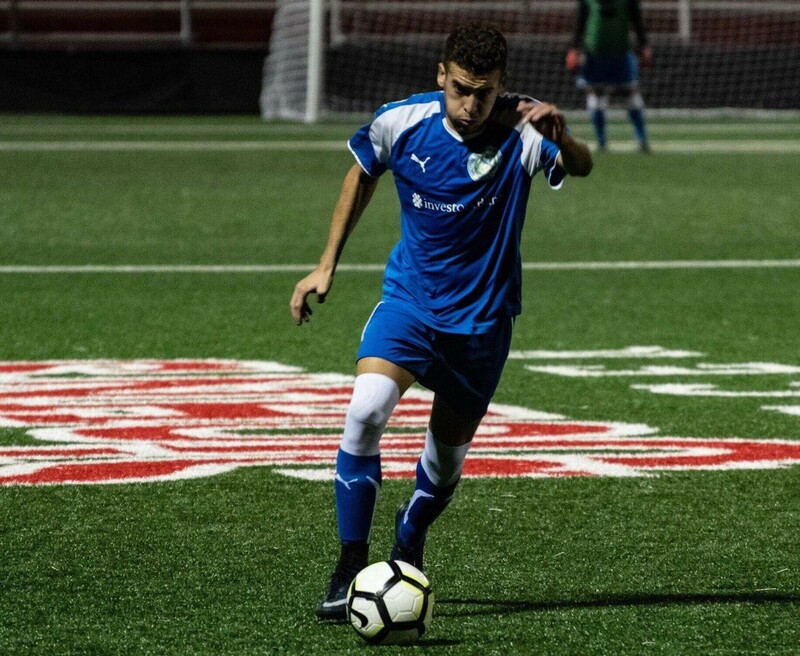 It was the second most scoring round of the season as the 10 teams tallied 23 goals—sorry keeper—and it featured one of the most entertaining matches in the modern era of the league: Doxa S.C.'s 5-4 win over Lansdowne Yonkers F.C. When a scoreline between a club from the top half and one from the bottom half goes from 2-1 to 5-1 to 5-4, that’s when the beautiful game turns almost as beautiful as a bride at the altar—almost. 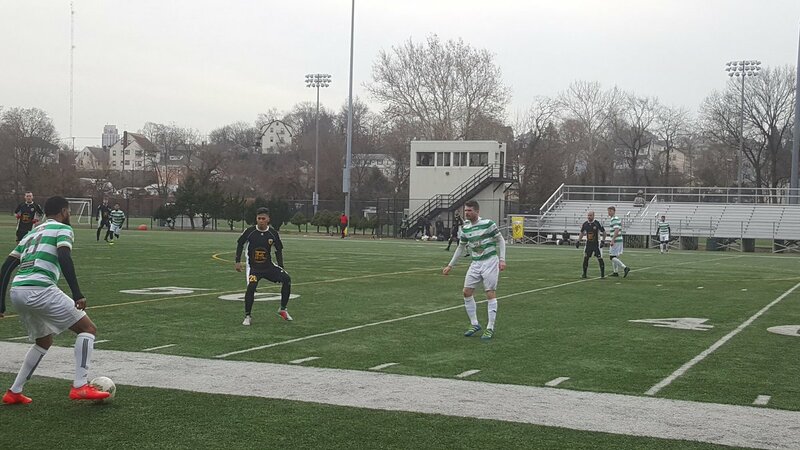 Eighth placed Doxa defeated four-time CSL champions Lansdowne, 5-4, snapping their 16-match unbeaten run on Sunday afternoon home at Joseph F. Fosina Field. Led by the passionate Paul Grafas, Doxa is known for racking thrilling results as 3-2 or 3-3, because of their never-die-without-a-fight attitude, and for standing up to the Goliaths of the CSL. Obviously Doxa didn’t get relegated but always lost to Lansdowne in the league after drawing with them in their first encounter. However Grafas made sure that his men went down swinging in most of their battles against the Irish giants, falling to Lansdowne, 4-3, 2-0, 3-1, and 3-2 respectively in the CSL. Last Sunday coach Grafas and his men weren’t the ones punching back while falling as they finally conquered Lansdowne. “90 minutes of chaos,” the Greek coach said about the 5-4 result. Lansdowne was the first team on target as Samuel Gehman found the net from 10-yards out, thanks to Daryl Kavanagh’s pass. Doxa equalized then mounted over the Bhoys, 2-1, at halftime--normal halftime scoreline when you think about the two teams' previous meetings. Things started to get ‘bizarre’ as Lansdowne put it on their Twitter account in the second half; Grafas' army netted four straight unanswered goals to go up 5-1. The Greek club’s topscorer of the season Kareem Joachim scored two goals, one of which was a booming volley from 16-yards out. Former Adelphi University number 10 Joseph ‘Joey’ Sanchez was also in the scoresheet as he juked three Lansdowne players before steering a shot home. Dominick Falanga, who suffered a head injury last weekend and needed to get stapled five times, tallied a goal and an assist and drew a penalty. Robert Cabrera converted the spot kick to join Doxa’s scoring party. The other assistmen alongside Falanga were Joachim, Frederico Ackermann, Stephanos Hondrakis and Calvin Moyes. The Bhoys pushed for a comeback. Karim Russell started it by curling a free kick from the top of the box around the wall and to the bottom left corner. Rory Head later volleyed a poor Doxa clearance in the net from the box to make it 5-3. Aron Dennis scored Lansdowne’s fourth goal from Gehman’s cross. NY Pancyprian Freedoms midfielder Andreas Iosifidis. NY Pancyprian Freedoms edged NY Greek Americans, 1-0, in the Hellenic Derby home at St. John’s University Belson Stadium on Sunday night. The Cypriot club needed the help of the Greek club to win the derby. Pancyprians playmaker Andreas Iosifidis skilled his way in NY Greeks’ box before hitting a shot off an opposing defender and into the net. “We were a bit lucky to get that goal, we were lucky with the deflection but we’ll take it every day,” Iosifidis said after the match. Cedar Stars Academy downed Zum Schneider F.C. 03, 4-1 behind a Christopher Katona hat trick home at Ramapo College Athletic Center on Sunday afternoon. It was New York Cosmos striker Bledi Bardic’s last game in his loan move to Cedar Stars. Bardic did what Cedar Stars welcomed him to the club for all the way to his last game on Sunday: he scored. The forward thanked the club for taking him on loan on Twitter after the match. Cedar Stars Academy forward Bledi Bardic. Katona scored from the spot in the 15th minute to open the scoring for CSA. Saad Afif leveled it up for Zum in the 35thminute with a penalty kick as well. Later in the 55th minute, Katona one-timed Jimmy Mulligan’s cross to put the Stars back on top. 10 minutes later, after controlling Katona’s pass and beating an opposing defender, Bardic drove a shot to the top left corner of the net. CSA completed the 4-1 scoreline in the 89th minute as Katona paced past a Zum player on top of the box before maneuvering a shot to the lower right corner. Substitute Darren Coleman netted a double to help Shamrocks down Central Park Rangers Whites, 3-1, at Randall’s Island Field 83. Central Park drew first blood midway in the first half when 18-year-old center back Reed Keesler headed James Greco’s set piece in the net. Coleman tied it up 1-1 in the 75thminute with a free-kick. He then helped the Rocks go up 2-1 as he assisted Kwesi Mills-Odoi’s goal through a corner kick. Coleman completed his brace late in the game via Mills-Odoi’s pass. 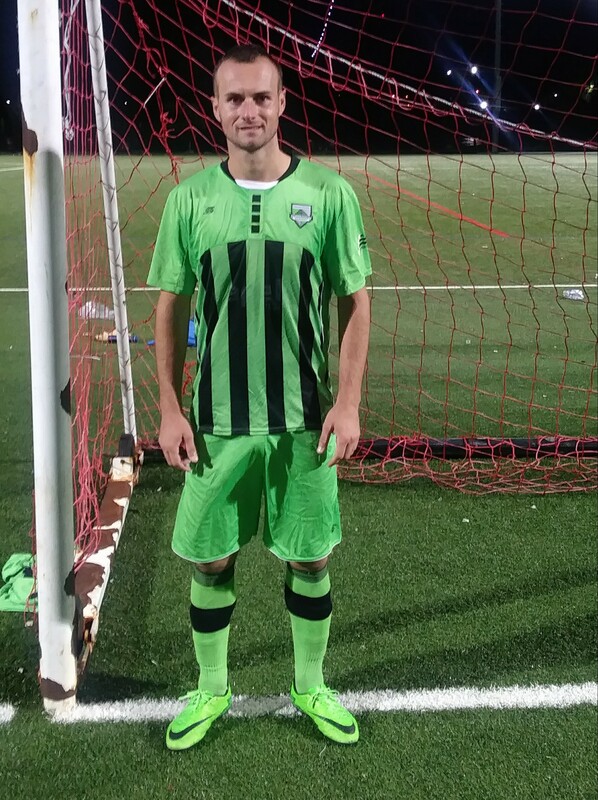 Thomas Hogue scored an 89th minute penalty kick to usher Hoboken F.C. 1912 to a 2-2 tie with NY Athletic Club at Lincoln Park Turf Field on Sunday afternoon. NYAC took the lead in the 30th minute when Laurin Vogel smashed Jake Mann’s pass in the net. Hoboken wouldn’t tie it up until in the 82ndminute as Jeremy Witherspoon turned Hogue’s pass into a goal. NY Athletic went back up top two minutes later when Youssouf Bamba found the net from Amara Sesay’s pass. Later in the 89th minute Hogue converted a penalty kick to rescue Hoboken from a loss.